The Weiler 56491 mandrel securely mounts a Type 1 cutoff wheel with a 1/4" or 3/8" arbor hole onto a grinder that accepts 1/4" stems. 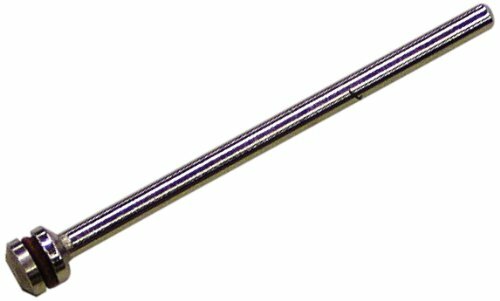 The mandrel is designed to fit 0.035"- to 1/4"-thick cutoff wheels and is made of carbon steel for strength and extended tool life. The mandrel consists of a shank and a screw. The shank inserts into a grinder chuck. The arbor end of the shank accepts a cutoff wheel, and the screw portion of the mandrel threads into the shank, securing the wheel to the mandrel. 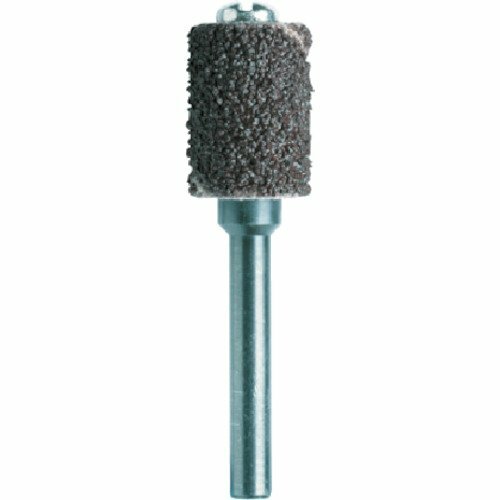 Specifications Arbor size 1/4" or 3/8" Accepted wheel thickness 0.035" to 1/4" Shank diameter 1/4" Weiler manufactures precision brushes, abrasives and maintenance products. The company, founded in 1898 in Germany and headquartered in Cresco, PA, meets International Organization for Standardization (ISO) standard 9001. The Dremel 1/4-Inch Drum Sander is ideal for rough-shaping and smoothing wood and fiberglass, as well as removing rust from metal and shaping rubber surfaces. Sitting atop a mandrel with a 1/8-inch shank, the cylinder sanding band is covered with coarse 60-grit aluminum oxide abrasive. This purple sanding band is easily replaceable. The Dremel EZ Drum mandrel makes sanding band changes easy as PULL - PLACE - SECURE. The one-piece mandrel design simplifies the process of changing sanding bands and makes it easy to sand flat surfaces and edges. The Weiler 36512 mandrel securely mounts a Type 1 cutoff wheel with a 1/4" or 3/8" arbor hole onto a grinder that accepts 1/4" stems. 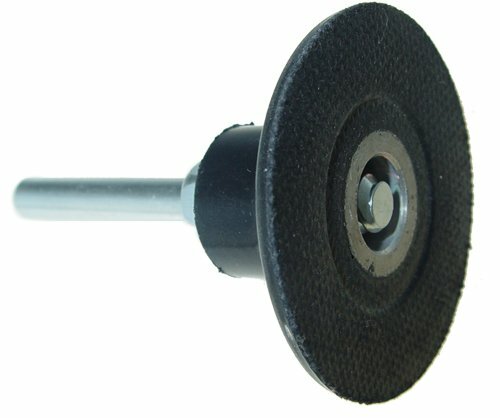 The mandrel is designed to fit 0.035"- to 1/4"-thick cutoff wheels and is made of carbon steel for strength and extended tool life. The mandrel consists of a shank and a screw. The shank inserts into a grinder chuck. The arbor end of the shank accepts a cutoff wheel, and the screw portion of the mandrel threads into the shank, securing the wheel to the mandrel. Sanding bands material: aluminum oxide. High Function: Turn your Dremel or other rotary tool into versatile high-speed sander. Universal Size: 9pcs reusable sanding drum are divided into in 3 diameters: 1/2, 3/8 & 1/4. Common and standard size fits for all rotary tools like Dremel etc. Good Combination: The dremel accessories come with 329 pieces sanding bands and 9 pieces sanding drum mandrels. Totally 338 pieces drum sanders set. These rotary sanding brands contain 3 sanding grits (60 grit, 120 grit, 320 grit) and 3 diameters (1/2, 3/8 & 1/4). 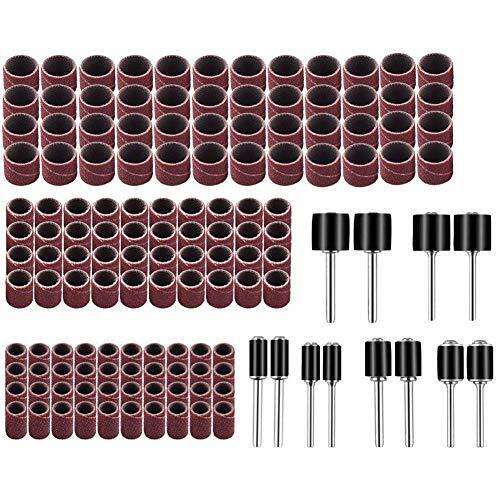 Wide Application: Assorted grits rotary sanding set can be used for smoothing inside and outside curved edges, surface preparation, finishing soft and hard exteriors like wood, fiberglass and to shape fine woodcraft designs. Easy Installation: The self-expanding rubber cushioned drum mandrels were specially designed to embrace the sanding bands with a snug fit, keeping the sandpaper sleeves in place for extra fine artwork. This type S quick-change pad or discs features turn on/turn off fastener which is made of semi-rigid rubber. Its max. operating speed is 20,000 rpm. It is compatible with 3M Roloc TS/TSM, Merit Type II, Pferd type CD, Sait SAIT-LOK, Camel Turn On, Klingspor QMC, Norton TS, PASCAL Type 2, Standard type TS (SocAtt), Superior Type S, Arc Type S fastener system. Mandrel and nose piece sold as a pair. Both pieces are needed when adding a thread size to your tool. Allows users to add sizes that normally do No come with their tool or replace broken or lost parts. The SE RA91812S 1/8" Sanding Bands with 2 Mandrels and 4 Grits (102 PC.) comes in 4 different grits to choose from depending on what surface you will be sanding, including 60, 120, 240, and 400. Included are 2 metal mandrels used to slide bands over the drum and tighten screws for non-slip fit. You can turn your rotary tool into a versatile high-speed sander on multiple surfaces including ceramics, stone, glass, wood, soft metals, and more. This is the perfect accessory to sand, shape, groove, and finish soft and hard woods, fiberglass, and more. Each grit has 25 pieces. The sanding band height is 1/2" and the diameter is 1/8". The mandrel shank diameter is 1/8". SE is committed to providing the customer with the best source for value possible on the market. You will enjoy the quality, function and usefulness of our SE RA91812S 1/8" Sanding Bands with 2 Mandrels and 4 Grits (102 PC.). The product is Screw Mandrel. Easy and simple use kit. The product is manufactured in China.. Elegant design and finish. 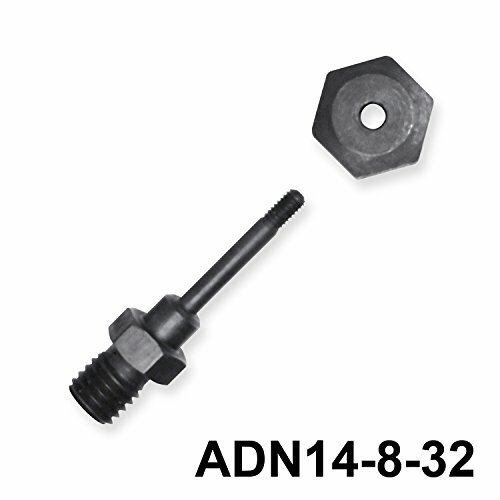 This Firepower 1423-2185 Mandrel Set has a 1/4-inch shank and is compatible with 1/4-inch and 3/8-inch arbors. It is made of high strength alloy steel and is ideal for small diameter cut-off wheels with a thickness of 1/32-inch to 1/4-inch. 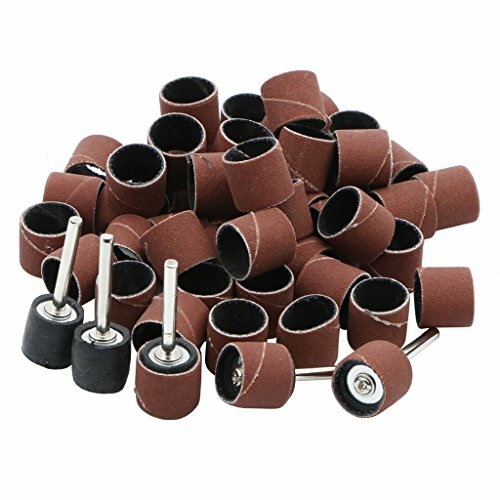 There are 50 pcs sanding bands sleeves, with 5 mandrels. They are used for polishing. Special electric grinding polishing sand ring, and often used for metal rust removal, wood, polishing. Put the sandpaper on the rubber pole, with a screwdriver gently rotating the screw and the rubber will expand so that the sandpaper can be fixed on the pole. Good quality, European-made nickel mandrels assure the user satisfaction with every use. 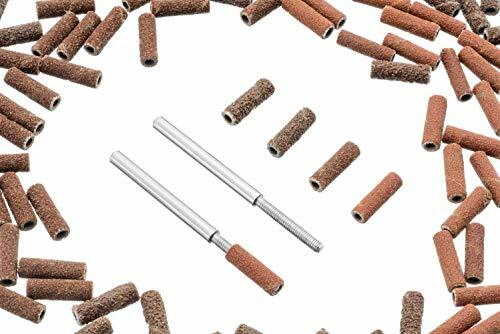 Screw-type mandrels offered in regular and reinforced, work with unmounted wheels, stones, miniature brushes, etc. 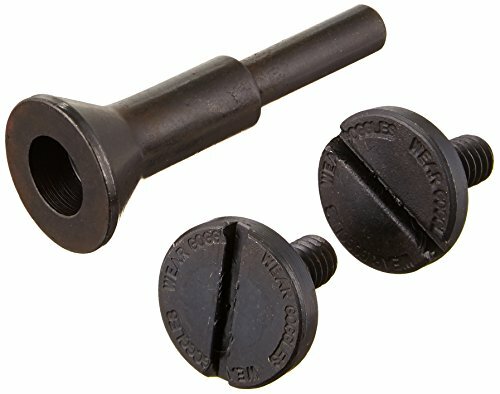 Threaded mandrels ideal for rubberized abrasives and buffs. All sold by the dozen. 3M Use with small radial bristle discs 1 inch diameter or smaller with 1/16 inch center hole. Mandrel fits 3/32 inch drill or collet chucks. Attachment type: shaft. Center hole diameter: 7/128 inch. Converted form: mandrel/spindle. Equipment - machines: die grinders. Form type: bristle. Maximum RPM: 30000. Shank size: 3/128 inch. 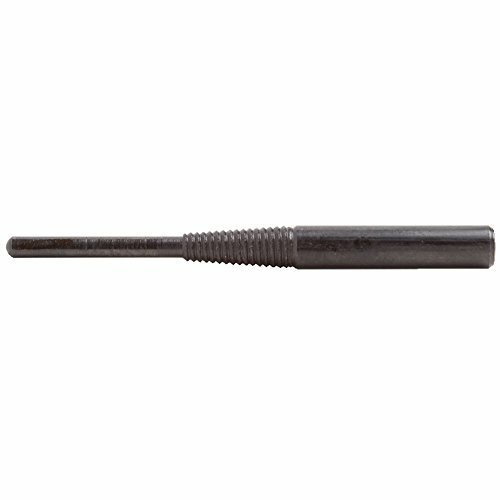 Climax Part CR-9, Cartridge Roll Mandrel with Coarse Threads, 1/8 inch Pilot Diameter, 1 inch Pilot Length, 1/4 inch Shank Diameter, 1 inch Shank Length and 2 3/4 inch Overall Length. These mandrels are slotted with a 3/32" - 2.35mm shank. They are designed to be used on rotary handpieces. Applications, Hobby & Craft, in Dental Labs and by Model Makers. 1. 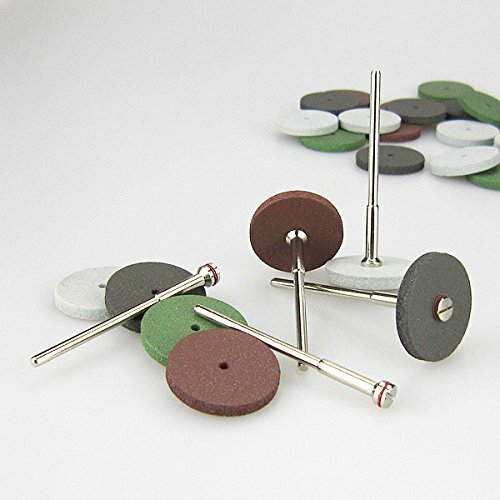 They are specially designed for ceramic workpieces, mainly used for porcelain tooth surface/tooth crown/tooth slot/connecting points & edge of the workpieces fine finishing and polishing. These mandrels are slotted with a 3/32 - 2.35mm shank. They are designed to be used on rotary handpieces. 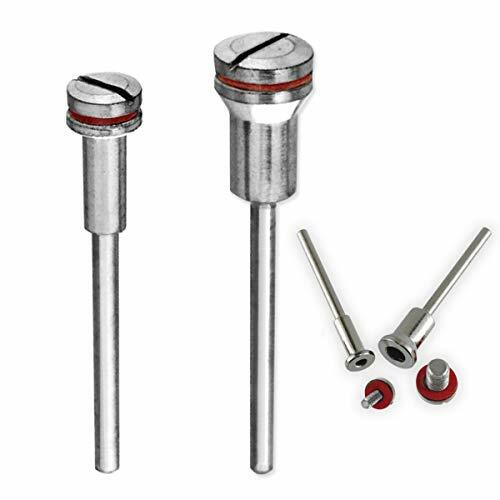 These mandrels are very popular and used extensively in Jewelry Making, Woodworking & Wood Carving, Lapidary Applications, Hobby & Craft, in Dental Labs and by Model Makers. Assembles Securely, Reliably, Quickly Used for securing a square pad, a cross pad or cross buff to your 3M(TM) Die Grinder, the 3M(TM) Square/Cross Pad Mandrel allows you to make optimum use of your power tool by enabling it to accomplish more of the tasks you need to address. 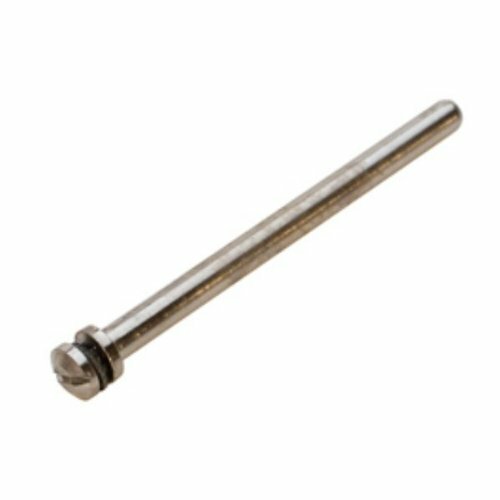 This mandrel has a 1/4-inch shank that is engineered to fit your rotary power tool securely and allow for quick assembly. We make it available in 3 external thread sizes for running at a maximum rpm of 24,100. Do More with One Tool Our 3M(TM) Square/Cross Pad Mandrel allows you to use multiple type of abrasive products with one tool. Square pads are ideal for fast grinding and blending of channels, fillets, corners and spotting on flat surfaces. As they rotate, the corners exert a fast biting action and gradually wear down to expose fresh abrasive material. 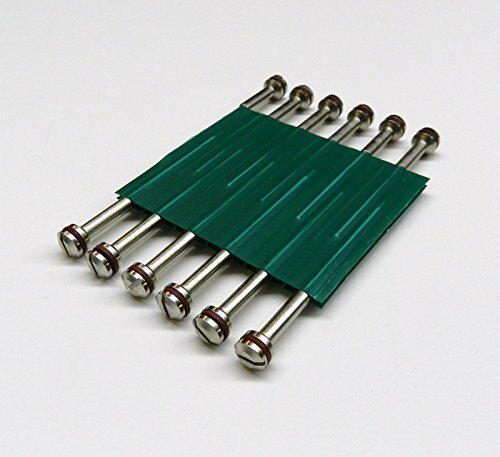 Cross pads are used for close tolerance polishing of small radii and channels, deburring the ends and insides of tubing and other special applications. Cross buffs polish, clean, satin finish, denib and defuzz interior diameters of metal components. Maximize the Value of Your 3M Power Tools Engineered to work effectively with your 3M rotary tools, we design our accessories to perform to the highest standards, to allow you to do more, more cost-efficiently. 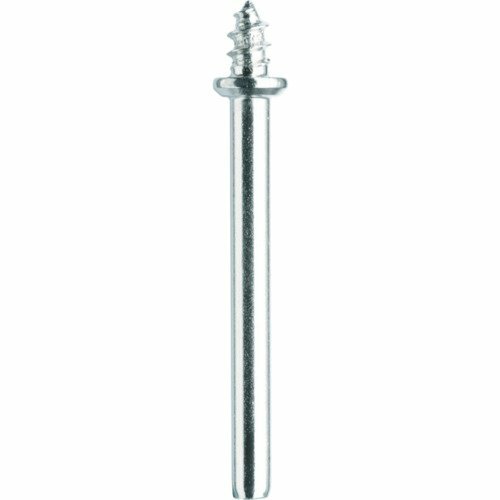 Screw Mandrels are A-1 TOP Quality, Made in Germany. Mandrels have reinforced shoulder, with a 3/32 Shank and the Shoulder Holding Screw is 1/16. 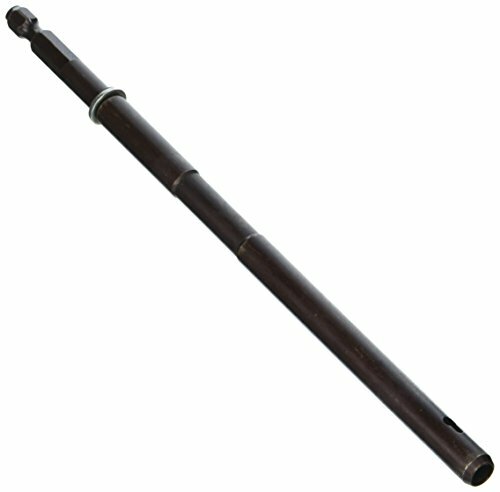 These mandrels are very popular and used extensively in Jewelry Making, Lapidary Applications, Hobby & Craft, in Wood Carving and by Model Makers.